Home Unlabelled How to (properly) identify suppliers for your Direct Materials sourcing event. How to (properly) identify suppliers for your Direct Materials sourcing event. Request for Proposals can be useful tools when it comes to direct materials sourcing. When properly executed, RFPs can result in introducing new suppliers that can provide the best services at the most competitive prices. 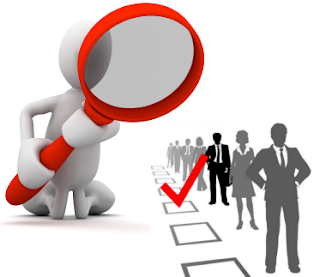 That being said, identifying good candidates as potential suppliers is not an easy task! It requires strategic thinking from the very beginning of the sourcing initiative. In other words, suppliers must be identified, prescreened through a verbal Request For Information (RFI) process, and selected with a set of criteria and requirements that best align with the sourcing project’s desired end results. Here are 5 important criteria categories to consider in order to successfully identify the best fit suppliers to invite to a sourcing event. It is important to identify the strategic road map of the project prior to performing any sourcing activity. As a matter of fact, some suppliers are more eager to take on prototyping projects with lower annual runs than other suppliers who may set minimum order quantities for medium to high volume production projects only. Additionally, some suppliers might not be capable of taking on new business, but would still be interested in bidding on a RFP, which would result in higher lead time if the business is awarded to them. Therefore, it is important to identify suppliers that will best fit with the project strategy in order to maximize the competitive and qualitative outcome of the sourcing initiative. It is important to also identify the desired secondary services a supplier must be able to offer. Projects aiming at introducing new custom parts to a company product line will require DFM services. Inventory management and Kanban services might also be needed. Such services should be identified during the verbal RFI, and further vetted during the RFP process. Primary and secondary manufacturing capabilities required for the production of mechanical components need to be clearly identified, as they can vary depending on the part’s complexity. For example, medical instruments, such as surgical instruments, and mechanical parts for the aerospace industry, like fans or turbine blades, can require different primary precision machining capabilities, such as CNC or conventional turning with or without C-axis options, milling with 5 or more axis (depending on the part’s complexity), Swiss turning, or precision grinding. Secondary capabilities can range from heat treatment to passivation and other cleaning methods, such as deburring, electro polishing or sanding. These are just a handful of capabilities available in the market for precision machining services. Therefore, it is important to clearly identify which primary and secondary manufacturing services need to be provided in order to select the best fitted suppliers with the right core competencies. However, it might be difficult to identify suppliers that will perform all manufacturing processes in-house. Some suppliers will provide a service by outsourcing it, however, this should not necessarily be considered a deal breaker. The question here is how to differentiate suppliers that outsource similar services, such as heat treatment. The right criteria to consider is where the services are outsourced. Suppliers outsourcing locally will be a better option than suppliers outsourcing nationally or even internationally, as higher ancillary fees related to transportation will be applied with the latter. Manufacturing capabilities are not the only focal point. Certifications and quality control methods are equally important to vet during the prescreening process of a candidate. Certifications, such as ISO 9001, ISO 13485 for the medical industry, or AS9100 or AS9120 for the aerospace industry, are good indicators to gage supplier reliability and quality. Some suppliers advertise the complete list of equipment they own or lease on their websites, such as optical comparator, CMM machine, and other quality control machines. Such information helps create a better understanding of a supplier’s service offerings. Ultimately, this will show how one supplier ranks better than another as they meet project quality control requirements that others don't. Looking at a supplier’s current market and product base is essential. While this information is not always available on a supplier’s website, it can be discussed over the phone. This highlights the importance of conducting verbal RFIs in order to properly identify and select suppliers for a sourcing initiative. Suppliers with experience servicing an organization’s market and manufacture similar products as those requested in the sourcing project will be a better candidate than those who are novices in the space. Another criteria that can help differentiate suppliers is geographic location. Freight cost should be considered in the sourcing equation as they can have a significant impact on a product’s overall pricing. Suppliers located in the same industrial zone, city or state mean lower freight costs than suppliers located across the country. While not being the most critical criteria of this list, it is not to be forgotten due to its impact on the Total Cost of Ownership. In summary, while it’s easy to find suppliers for specific service offerings through directories such as ThomasNet, choosing the ones that best fit a project’s needs requires more than just a few clicks. Verbal RFIs conducted with a set of pre-defined criteria provide an in-depth prescreen needed to properly identify potential future suppliers and therefore maximize the results of a sourcing initiative. This process also optimizes the entire RFP process as it ultimately limits the risk of suppliers dropping from the sourcing initiative due to a lack of interest or capabilities.